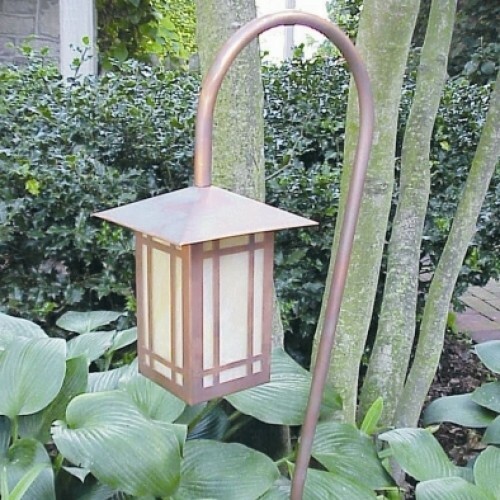 Berkley Garden Lantern is a simple craftsman influenced lantern constructed of solid copper. 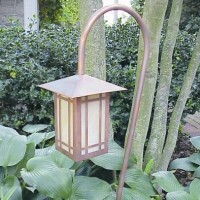 Mounted to a 24" copper crook, it is sure to compliment your garden setting. Glass panels are irridized honey in color.